Central Canovanas was the initiative of Philadelphia born George Latimer ( -1874), who settled in PR in 1830 and was merchant, banker and Consul of Austria & The Netherlands in Puerto Rico. It originated from the consolidation of adjoining haciendas Punta and San Isidro, acquired by Latimer from H. H. Berg, governor of the Danish Virgin Islands. Construction of the sugar mill was begun in 1879 by William Henry Latimer Collins (1828-1897), Charles Alexander Hoard (1814-1893) and José Ramón Fernandez (1808-1893) also owner of Hacienda La Esperanza . It is worthwhile mentioning that Bárbara Fernandez Dorado (1832-1912), daughter of José Ramón Fernandez, married William Henry Latimer, nephew of George Latimer. Financing for the acquisition of land and construction of the sugar mill was provided by the British firm the Colonial Co. Ltd. who also had interests in central sugar factories in Trinidad & Tobago, British Guiana and Barbados and the NY chemist firm Lanman & Kemp . A $200,000 Lanman & Kemp loan was secured by Wenceslao Borda Rueda who in consideration of his efforts was brought in as a fourth partner by Latimer, Hoard and Fernandez. 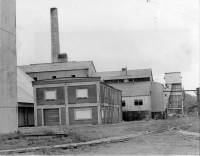 On February 3, 1883 and effective as of September 30, 1882, the four partners entered into an agreement with the Colonial Co. Ltd. for a reorganization which resulted in the creation of the Canovanas Sugar Factory Ltd., incorporated in London. The four partners deeded all equities in sugar lands and factory to the Canovanas Sugar Factory Ltd. in exchange for shares of the new corporation which they in turn pledged to the Colonial Co. Ltd. Lanman & Kemp deeded to the Canovanas Sugar Factory Ltd. all rights by virtue of their mortgage and in turn received a mortgage on the whole property owned by the new company. In 1885 the Colonial Company bought the Lanman & Kemp mortgage at a discounted value and bought Wencesalo Borda Rueda's shares. The sole heirs and legal administrators of George Latimer's assest upon his death were José Ramón Fernandez, William H. Latimer and Charles A. Hoard. In 1879, these three and Wenceslao Borda Rueda established the firm Sucn. Jorge Latimer & Cia. to establish and operate a sugar factory in Canovanas where each one had a 25% interest. The initial capital of Sucn. Jorge Latimer & Cia. consisted of haciendas Punta and San Isidro contributed by Fernandez, Latimer and Hoard and a working capital loan secured by Borda Rueda from Lanman & Kemp which in 1883 amounted to £68,900 guaranteed by a $200,000 mortgage on the land and structures of both haciendas. The 1883 reorganization of Sucn. Jorge Latimer & Cia. into the Canovanas Sugar Factory Ltd. was the initiative of the Colonial Co. Ltd. in order to collect debts it was owed by Latimer & Co. which by 1879 had been dissolved in a state of bankruptcy. For this reorganization, the Colonial Co. assumed the administration of the sugar factory for a term not to exceed 20 years and pledged to satisfy out of its profits the Lanman & Kemp and all other debts stated in the 1883 agrement. At the end of the 20 year term the sugar factory would revert to its owners (Fernandez, Latimer and Hoard or their successors). The Canovanas Sugar Factory Ltd. issued 10,000 shares of which 8 were retained by members of The Colonial Co. to satisfy British Government legal requirements and 2,498 to each of the 4 members, retaining the Colonial Co. Ltd. the 7,494 shares issued to Fernandez, Latimer and Hoard since they had personally guaranteed the debts of Latimer & Co. While the suit was pending and just before the 20 year term was up, the New Colonial Co. Ltd, and the Canovanas Sugar Factory, Ltd. agreed to extend the term of the agreemnet for five years and thereafter on a year to year basis as the parties may agree. The "The New Colonial Ltd. v. Canovanas Sugar Factory Ltd., et al." case was decided in 1906, in general stating that all throughout its existence and that of its predecesor, the New Colonial Co. acted as trustee for the benefit Latimer, Hoard and Fernandez and their heirs. 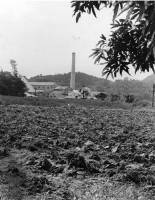 The Canovanas Sugar Factory Ltd. operated at a loss during most of its existence although it was the largest central sugar mill on the island until the establishment of the Guanica Centrale and later ranked 5th or 6th in importance. From the time the Canovanas Sugar Factory Ltd. was born in September 1882 until it was acquired by the Loiza Sugar Co. in 1908, management of the Canovanas Sugar Factory Ltd. was completely in the hands of the Colonial Co. Ltd. and its successor since 1897, the New Colonial Co. Ltd. Just as the Canovanas Sugar Factory Ltd. absorbed Central Buena Vista in 1908, the Loiza Sugar Co., a Puerto Rico corporation established by a group of large landowners of the region that included Spanish immigrant Abelardo de la Haba as Secretary of its Board of Directors, acquired the Canovanas Sugar Factory Ltd. On October 1925 the Fajardo Sugar Company acquired all the assets of the Loiza Sugar Co. and operated it as a subsidiary. As stated by César J. Ayala in his book American Sugar Kingdon , according to the Colonial Governor, at the time it was established, Central Canovanas was "the first to be established on the basis of the complete separation between the growing of the cane and the elaboration of the sugar, which principle is unanimously recognized as the only one capable of restoring to this Antillean island its lost preponderance, considered as a center of sugar production, principal source of its wealth." Although named Canovanas which is a nearby town, this sugar mill is located within the municipal boundaries of the town of Loiza on the banks of the Rio Grande de Loiza . Its remains consist basically of the smoke stack and a very large structure and what appears to have been the mill. The production graph for Canovanas is interesting and slightly different from other sugar mills. In its last year of operation, production was 23,985 tons which was just slightly below its lifetime average annual production of 28,075 tons. Its closure has been attributed to the lack of sugarcane, probably compounded by the fact that it was owned by the same owners as Fajardo, which production had started to dwindle down a few years earlier.